This is a type of maple that was planted by early settlers in the prairie lands of the United States as a shade tree. The tree is used for maple syrup production, and the plain wood is sometimes used for making crates or furniture. 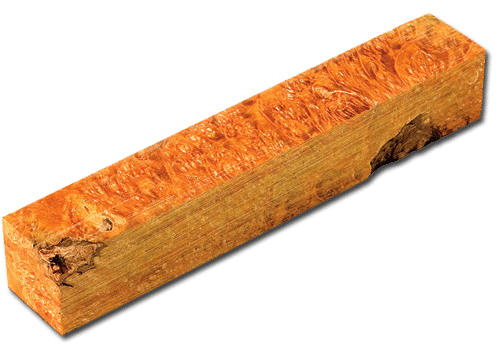 This stock is from a burl (tree cancer) that has been dyed gold under intense pressure. Please note that due to the nature of the dying process the results can vary from more solid gold to the variegated pattern shown here. They all make for a beautiful set of dice.